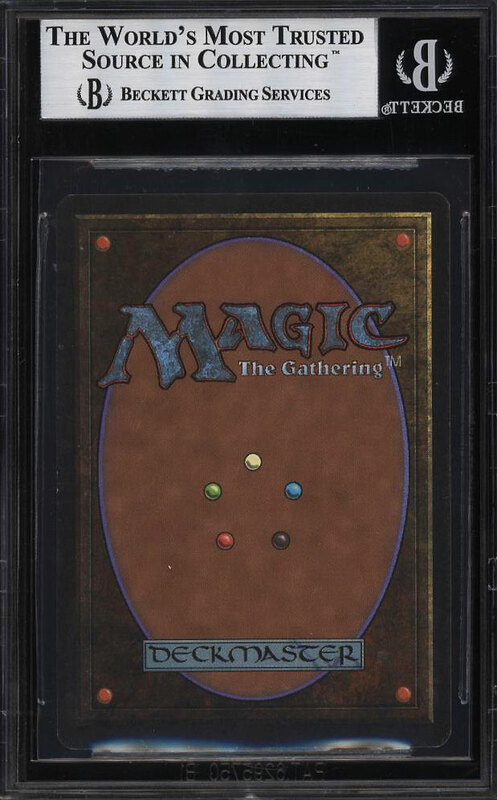 An exceptionally beautiful magic card on eBay this month. 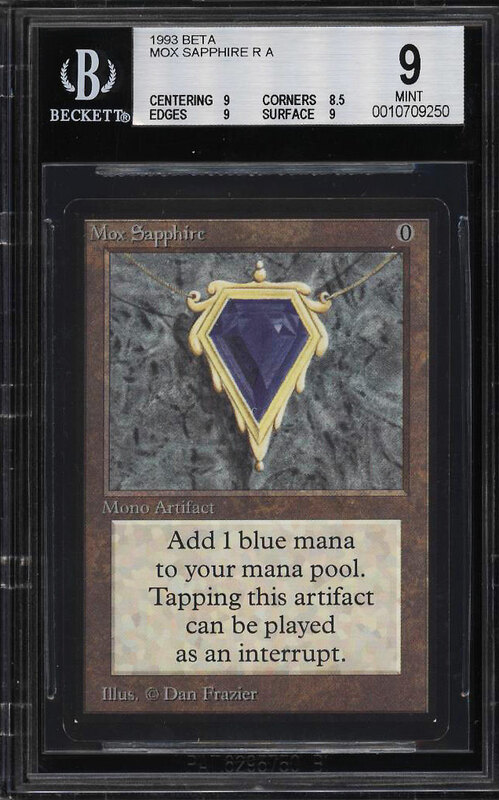 The Mox Sapphire is widely regarded as one of the most powerful cards ever created and sits among the pinnacle as one of the coveted power 9. The presented '9' possesses wonderful MINT centering, edges and surfaces. Shows clean borders with tremendous print, color and clarity throughout. The corners are well formed and seemingly worthy of a higher sub-grade. With the combination of Beta cards having black borders that are susceptible to chipping, and the fact that the cards are actively used in the game, high-grade examples are virtually impossible to locate. A truly incredible investment caliber magic card which commands serious attention. Part of an ultra impressive run of high-grade Magic The Gathering examples on the auction block this month. One of over 16,000 cards, lots and sets up for bid in our 1st Auction of 2019. Click on the link above to view the other PWCC auction lots.